Moral facts are best explained by God’s existence. Here are five of the most common objections to the argument and why, in my view, they are not insuperable. The moral argument is not about belief in God. Rather, the argument usually deals with grounding and substantiating objective morality. If God does not exist, then objective morality becomes much more difficult to explain. Sure, atheists can be moral. In fact, I know several atheists who are more moral than some theists! Religious leaders in the New Testament were among the biggest detractors and critics of Jesus. The issue of belief is not pertinent. The argument instead highlights the fact that there must be a sufficient basis for there to be objective morality. God, in light of the distinctive features of morality, can be argued to be their best explanation. We need not talk about absolute morality here. There is an important difference between absolute and objective. Absolutism requires that something will or must always be the case. For the record, such moral facts exist—like the inherent badness of torturing children for fun. But nothing so strong is called for here. Objectivity simply means (human) ‘mind-independent’ or ‘judgment-independent’. When I argue for objective morality, I need not argue that it is always the case that lying and killing are wrong; the moral argument I’m sketching does not defend absolute morality. Rather, it contends that there is a standard of morality that transcends human opinions, judgments, biases, and proclivities. Suppose that some nation today decreed that every one of its brunette citizens would be tortured to death simply for being brunette; it would still be the case that it is wrong to torture brunettes to death simply for being brunette. The statement, “It is wrong to torture brunettes to death simply for being brunette” is true, regardless of whether or not anyone believes it to be true. This is what is meant by objective. 3. "Where’s your evidence for objective morality? I won’t believe in anything unless I have evidence for it." Well, many would suggest that the evidence for objective morality is ubiquitous. If by ‘evidence’ you mean incontrovertible proof beyond any shadow of doubt, such an evidential standard is simply unrealistic and beyond our ken for nearly everything except a few beliefs internal to our own heads. After all, how do you know with absolute certainty that you are not a brain in a vat being electrically stimulated by a crazy scientist who wants you to think that all of this is real? You could be in the matrix, for all you know (take the blue pill)! How do you know with complete assurance that you weren’t created a couple minutes ago and implanted with memories of your entire past life? How could you possibly prove otherwise? See where this is going? Denying the existence of something on the basis of, “I will not believe unless I have completely sure evidence for it” leaves you with solipsism, at best. We believe in the reality of the external world on the basis of our sense experience of the external world. And we are justified in believing that the external world is real unless we have good evidence to think otherwise. There is no way to prove with utter certainty that the external world is real, or that the past wasn’t created 2 minutes ago and given the appearance of age. Similarly we have no good noncircular evidence for the reliability of testimony or the reliability of induction, and these are just a few examples we could adduce. And yet we all believe that the external world and the past are real. In the absence of defeating evidence, we are justified in trusting our experience of the external world. In the same way, I think it’s plausible to suggest by parity in reasoning that we can know that objective morality exists on the basis of our moral experience. We have access to moral facts about the universe through our moral experience. Unless we have good reason to distrust such experience, we are justified in accepting the reality of the objective moral framework that it presents us with. Despite how resistant we might be to accepting the truth of moral objectivity, no one really denies that there are some moral facts (except psychopaths and some sociopaths). Take the following scenario: In 1978 a fifteen year old girl was walking to her grandfather’s house when a man offered to give her a ride. She got in the car with him. He then kidnapped her, raped her repeatedly, hacked off her arms at the elbows with an axe, and left her to die. Although she survived, she was terrorized by this traumatic event. Her attacker served only eight years in prison and told her during the trial that one day he would be back to finish the job. Now answer the following question: Was this act wrong? If yes, you believe that there is at least one moral fact in the world. If no, you face a fairly formidable burden of proof. There’s theoretical space for skepticism, but it’s hardly the obvious position to take. The first response is that even though not all cultures share the exact same moral facts, most embrace the same, underlying moral values. For example, there are certain tribes that practice senicide (authorized killing of the elderly) due to their belief that everyone in the afterlife will continue living on in the same body that they died with. Thus, in order to ensure that those in the afterlife are capable of hunting, swimming, building houses, etc., the elderly are killed before they become too old to take care of themselves. This act is done with the well-being of the elderly in mind. The moral value that most of us hold would suggest that “the elderly are valuable and must be taken care of,” is also accepted by these tribes, even though their construal of the nonmoral facts diverges from our own. The second response is that some cultures do, in fact, practice certain things that are straight up morally abominable. Cultures that practice infanticide, female circumcision, widow burning, child prostitution, and the like are practicing acts that are repulsive and morally abhorrent. The fact that we realize the difference in how certain cultures treat their women, children, and elderly and are outraged at immoral practices is evidence that we believe in objective morality. A man’s decision to have his 6-year old daughter circumcised or sold into prostitution is no mere cultural or traditional difference that we should respect, uphold, or praise, or even cultivate an attitude of impartiality toward; rather these are atrocities that need to be advocated against and ended. The existence of multiple moral codes does not negate the existence of objective morality. Are we to condone slavery and segregation simply because they were once allowed under our country’s moral code? Of course not. We condemn those actions, and rightly so. Simply because a society practices acts that are contrary to what is moral does not mean that all moral codes are equal. Moral disagreements do not nullify moral truths, any more than people disagreeing on a mathematical calculation negates an objectively right answer. 5. "But God carried out many atrocities in the Old Testament. He ordered the genocide of the Canaanites." For starters, this isn’t really an objection to the moral argument since it does not attack either premise of the argument. 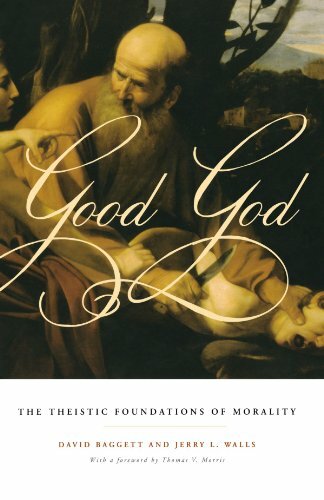 It’s of course an interesting issue regarding the moral character of the God of the Bible, and for those interested, this site recently posted a new book by Paul Copan and Matthew Flannagan; we encourage you to take a look. Beyond that, we can say this: by making a judgment on God’s actions and deeming them immoral, the objector is appealing to a standard of morality that holds true outside of herself and transcends barriers of culture, context, time period, and social norms. By doing this, she affirms the existence of objective morality! But if the skeptic wants to affirm objective morality after throwing God out the window, then there needs to be an alternate explanation for its basis. If not God, then what is it? The burden is now on the skeptic to provide a naturalistic explanation for the objective moral framework—an explanation that explains all that needs to be explained without changing the topic, watering down the categories, or reducing the significance of morality. 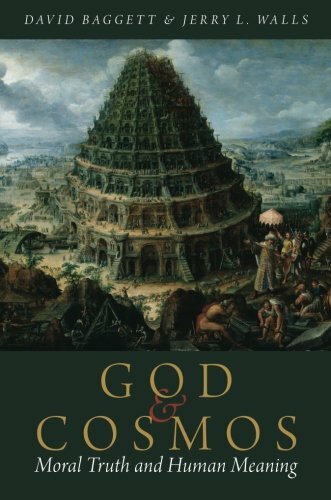 New Book by Paul Copan and Matt Flannagan: Did God Really Command Genocide? Over at Baker Publishing's website, you can pick up a copy of Paul Copan and Matt Flannagan's new book, Did God Really Command Genocide?. Copan and Flannagan are leading the way in providing substantive responses to objections raised against the goodness of God in light of the Old Testament conquest narratives. While you wait for the book to arrive, you can listen to lectures by Flannagan! Matthew Flannagan, "Can God Command Evil? The Problem of Apparently Immoral Commands"